Create your own Dell 944 inkjet pack / bundle with our flexible quantity discount pricing. Mix and match products so you are only purchasing what you need, but also maximizing your savings. Remanufactured Color Ink Cartridge with 561 high capacity page yield. Equivalent to Dell part number(s): M4646, J5567, R5974, 310-5882, 310-5371, 310-7160, 310-6272, 310-6964, 310-6969, 310-8235, 310-5375, Series 5 Color. Fits the following model(s): Dell 944, Dell A944. Remanufactured Black Ink Cartridge with 638 high capacity page yield. Equivalent to Dell part number(s): M4640, R5956, 310-7159, 310-6963, 310-5368, 310-5881, 310-6271, 310-6968, Series 5 Black. 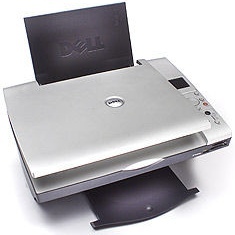 Fits the following model(s): Dell 944, Dell A944. 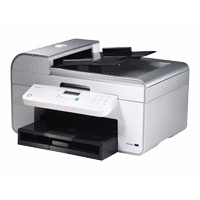 Buy our high quality compatible ink for Dell 944 with confidence. Join thousands of happy customers who have found our compatible products are equivalent in page yield and print quality. For our compatible products, we offer a 100% Satisfaction Guarantee allowing you to return products within 6 months if you are unsatisfied. There are times when a low price is more of a priority than features, and the Dell 944 (or A944) is certainly geared toward this type of buyer. 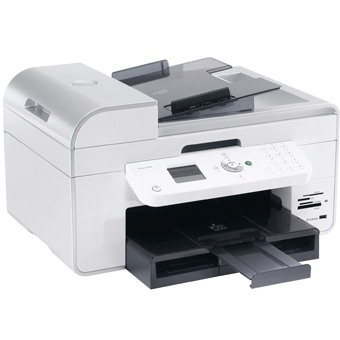 This is not to say this multifunction inkjet printer doesn't have some excellent features, like its 18 pages per minute speed, but the real highlight is its low price. 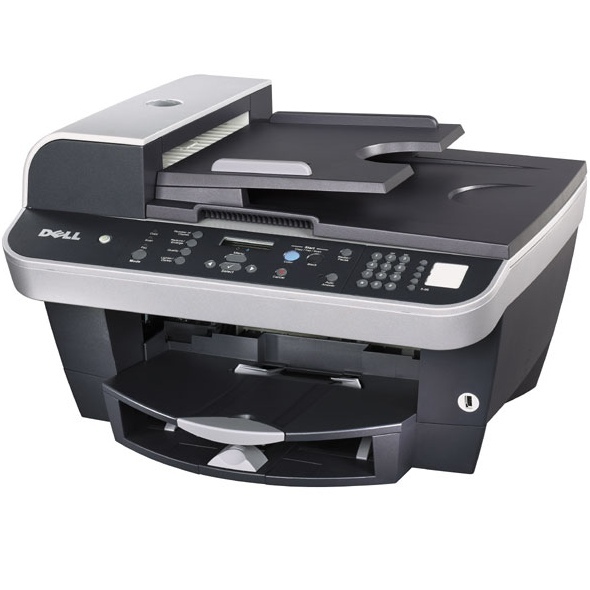 Even the printer ink is affordable, with well-designed Dell 944 ink that is easy to replace. One of the downsides of the 944's design is that it requires a computer connection for some operations that other machines do not. Users can print from a memory card, flash drive, or PictBridge-enabled camera without a computer, as well as make a copy. 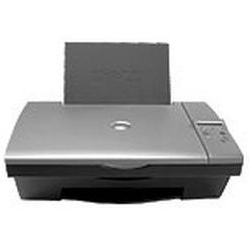 When it comes to faxing and scanning, however, a host computer is required. This is a poor design choice, particularly when it comes to faxing. The design also lacks an automatic document feeder, though this is less likely to be an issue for the majority of home users. 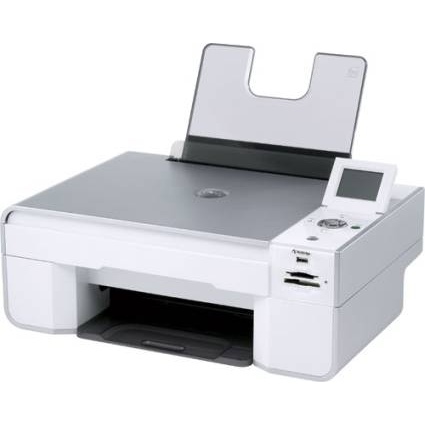 Copy features like reduction and enlargement are on board, and the platen can scan or copy documents up to 8.5x14 inches in size, for quite a bit of flexibility. Interpolated scanning resolution can go as high as 19,200 dpi in enhanced mode, for great quality digital scans. The Dell 944 ink cartridges that come in the box are separated into a single black and single color tank. Users can purchase high-capacity Dell 944 ink cartridges, which have 5 to 6 times the capacity for only a small bump in price. This makes the high-capacity Dell 944 ink a more economical choice. It's easy to pick out the few faults of the Dell 944 inkjet, but for its low price point, it will probably offer more than enough functionality for the average home user. Lack of a document feeder and no built-in faxing port will make it less useful for busy users.